Some say that at this time of year the veil between this world and the spiritual world is the thinnest and a good time to remember and honor those who have gone before us. Many communities throughout the world, especially those with Roman Catholic heritage, have Día de los Muertos (Day of the Dead) observances and celebrations on November 2 in connection with All Souls’ Day. Tucson has its All Souls Procession celebrating a diversity of cultures. Pre-Christian origins of this holiday can be traced back to indigenous traditions of various cultures. An Aztec festival was dedicated to Mictecacihuatl, Queen of the underworld, who is said to preside over contemporary Day of the Dead festivities and associated with the cult of Santa Muerte. 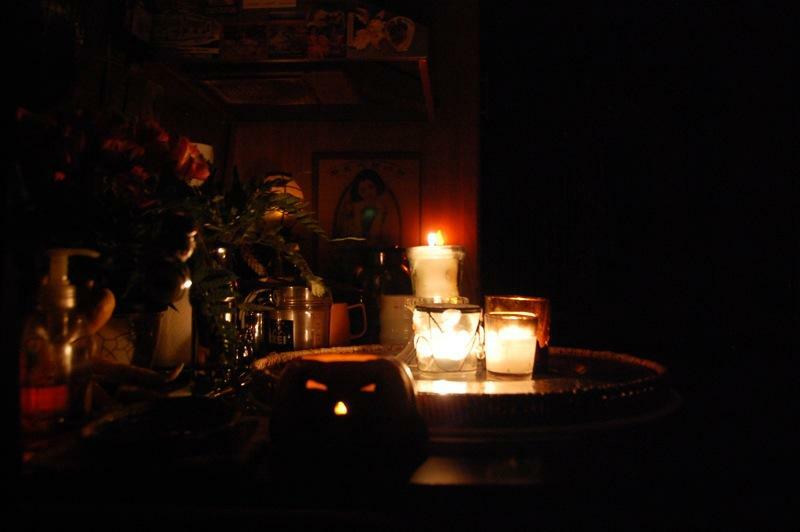 The Gaelic harvest festival of Samhain occurs on November 1, a time some believe that humans and spirits easily cross over from one world to the Otherworld. Here in San Diego we delight in celebrating our rich multicultural tapestry. Wonderful grocery stores such as Pancho Villa’s Farmer’s Market help provide a large selection of fresh, delicious and inexpensive items for our dinner table. At this time of year we especially enjoy their freshly made tamales. 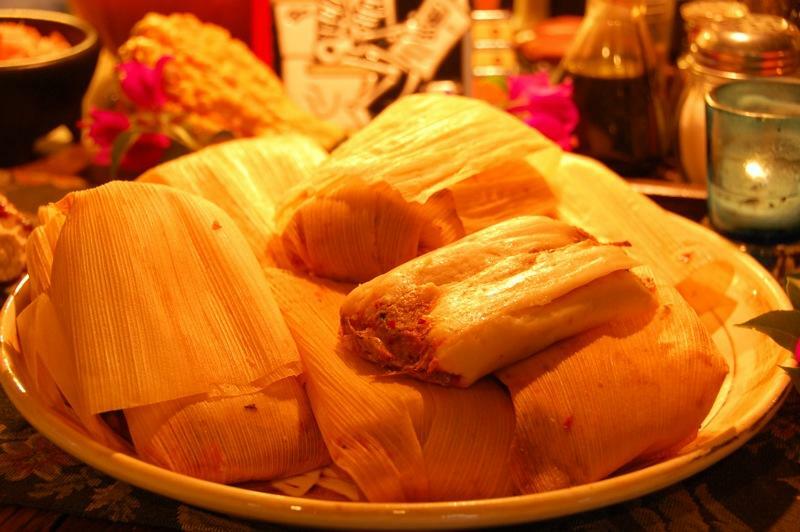 The tamales are made fresh daily and traditionally wrapped in cornhusks. 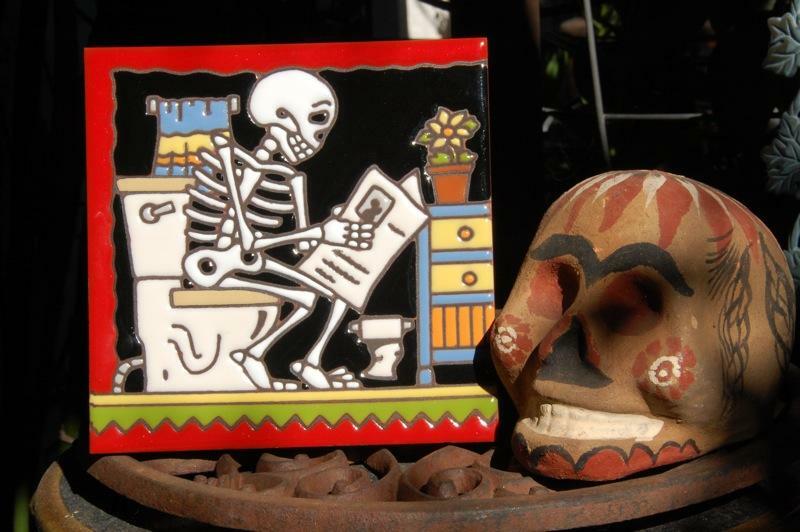 Also seen on the table is Earthtones “Day of the Dead” hand-painted decorative art tile made in Tucson. 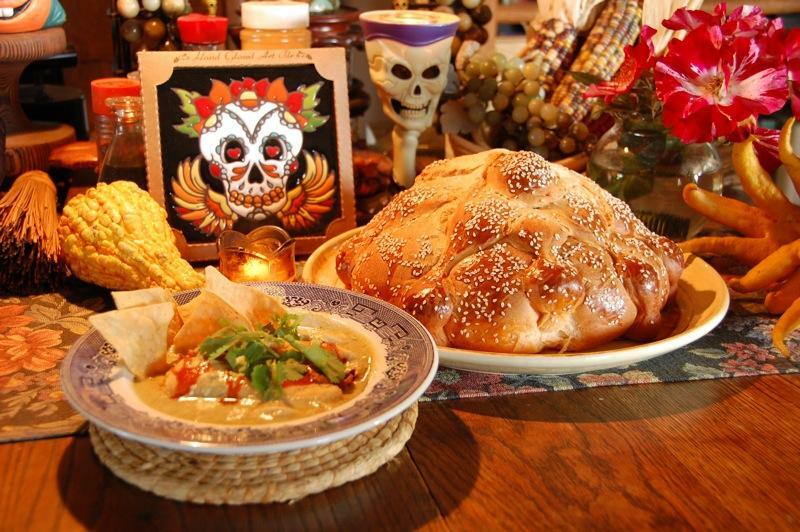 Also seen on our table is the traditional Pan de Muerto (Bread of the Dead), next to a dish with tamale de puerco (pork tamale) en pollo con mole verde (chicken in a green mole sauce). 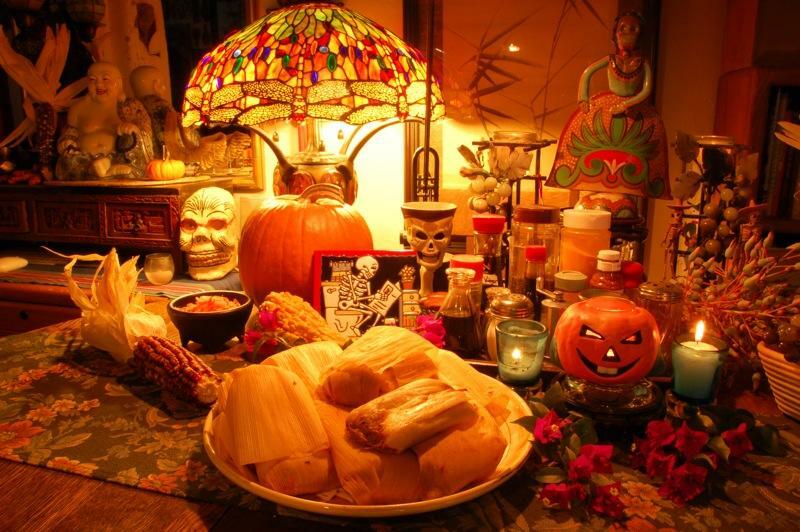 Traditions connected with the holiday include the building of altars and providing offerings (ofrendas). Día de los Muertos in Old Town San Diego will be celebrated with a presentation of over 30 altars, live music and skull painting, traditional bilingual poetry readings, festive restaurants, and a candlelight procession to El Campo Santo cemetery. Día de los Muertos at Hollywood Forever Cemetery is one of the biggest Day of the Dead festivals in Southern California. 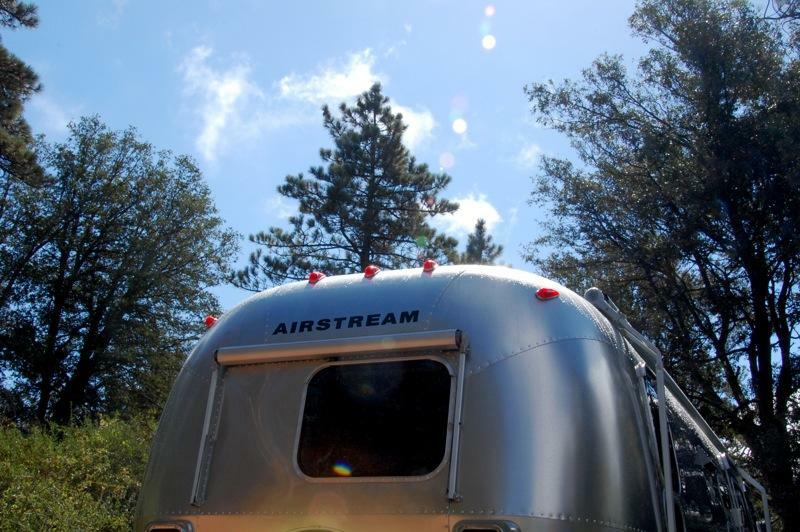 By midweek in the mountains, the cool, drizzly, season of the witch weather broke, and the Safari’s aluminum panels happily creaked and groaned while expanding as comforting warm rays of glorious sunshine lit up the campsite and surroundings with vibrant colors. 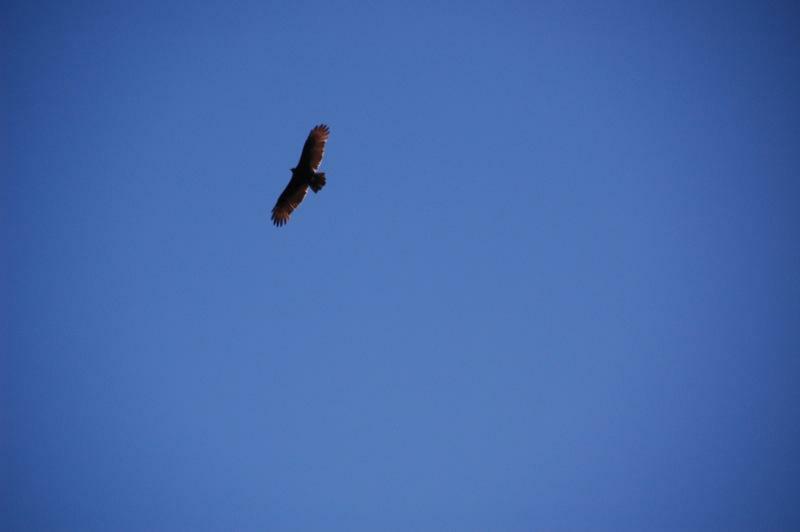 Our spirits brightened as hawks soared high, while wispy clouds danced in the clear, blue sky. 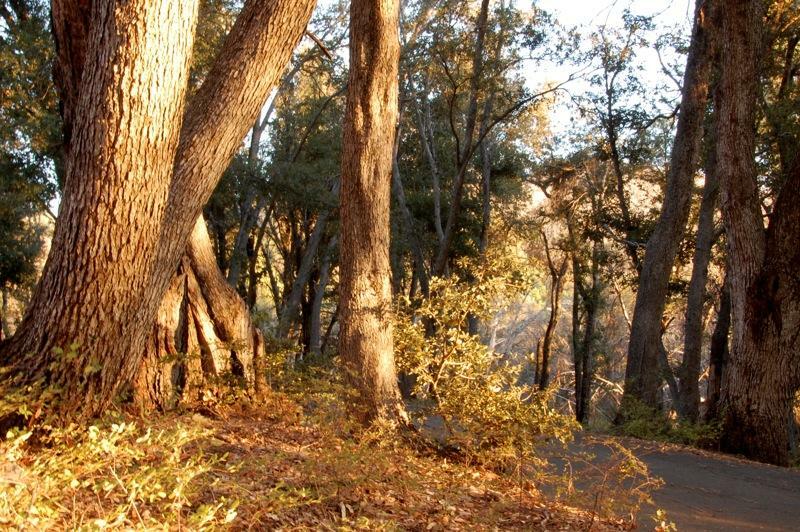 Oak trees glowed in the golden rays of the late afternoon sun. 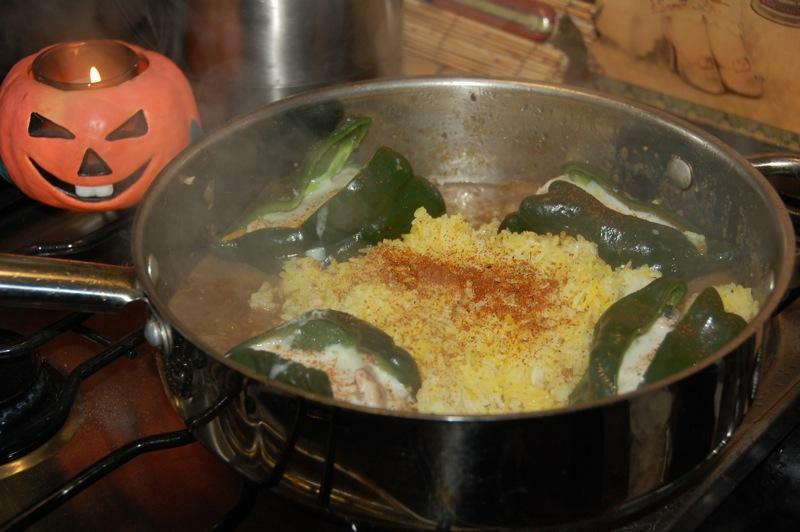 At sunset, Larry made Chile Rellenos en Salsa Verde con Arroz. (Stuffed peppers in tomatillo sauce with rice.) See his recipe below. 1. Sauté diced onions in a frying pan with previous night’s cooking drippings to deglaze the pan. 2. Add salsa verde (tomatillo sauce) and heat to simmer. 3. Slit a raw chile poblano (aka “chile pasilla” in a Latino market). Remove the stem. 4. Stuff the chile with shredded cooked chicken and shredded cheese. Repeat steps 3 & 4 for the remaining chiles. 5. Place the stuffed chiles in a circle on the simmering sauce. Cover and cook until the chiles are heated through and the cheese is melted. 6. Place leftover cooked rice in the center of the pan, sprinkle with ground cayenne pepper, cover, and steam until the rice is reheated. 7. Serve and garnish with chopped cilantro. Now, on to Halloween… and the Greatest Show Unearthed! 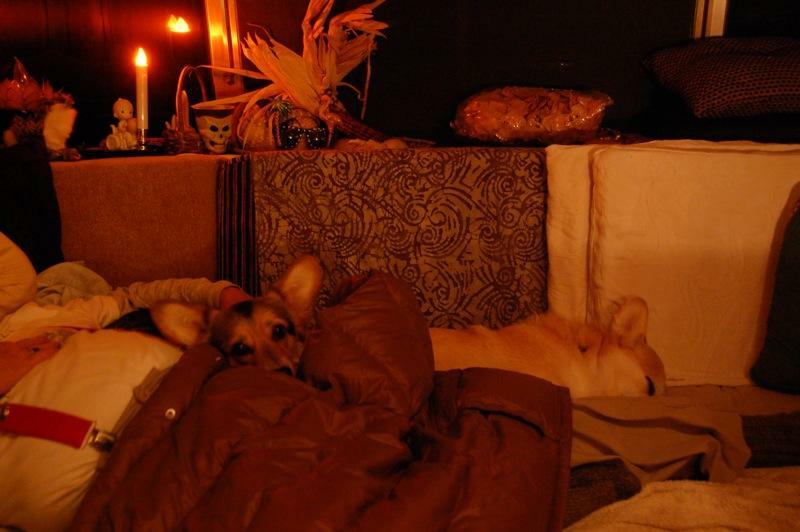 Our October trip to the mountains was packed with tricks and treats appropriate for this Halloween season. When we made the camping reservations, NOAA forecasted sunny and mild weather. Two weeks before departure, we experienced record-breaking heat (over 100°) in San Diego. One week prior to our departure, the county was being bombarded by lightning strikes setting palm trees on fire as Blue Angels soared overhead. 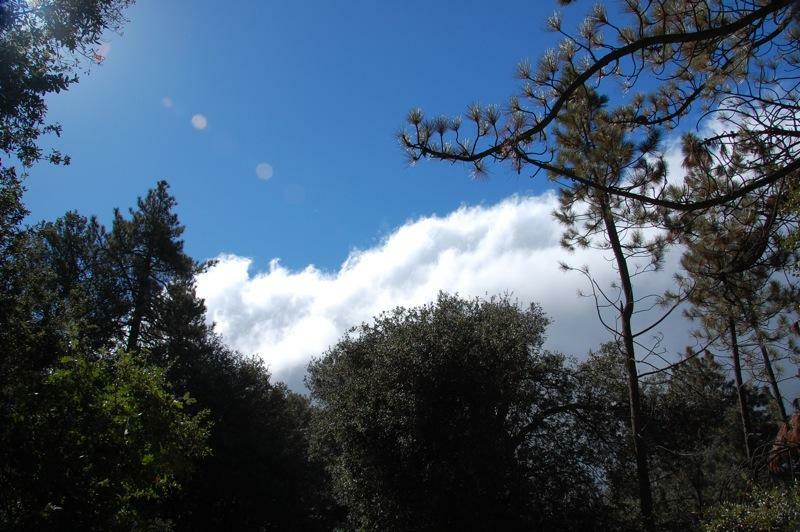 Santa Ana conditions usually occur this time of year, bringing a warm, dry flow of air from the deserts. But a cell of moisture was stalled just offshore, as we made our way through pockets of dense fog and sunlight to the mountains. The trailer was unhitched just in time as the wind picked up and sprinkles began. We experienced the heaviest rain and strongest wind on the first night. The sound of the wind roaring through the trees reminded us of the sounds of the surf when we camped by the ocean. I was glad I recently repaired gaps in some areas of caulking around the Fan-Tastic Fan. 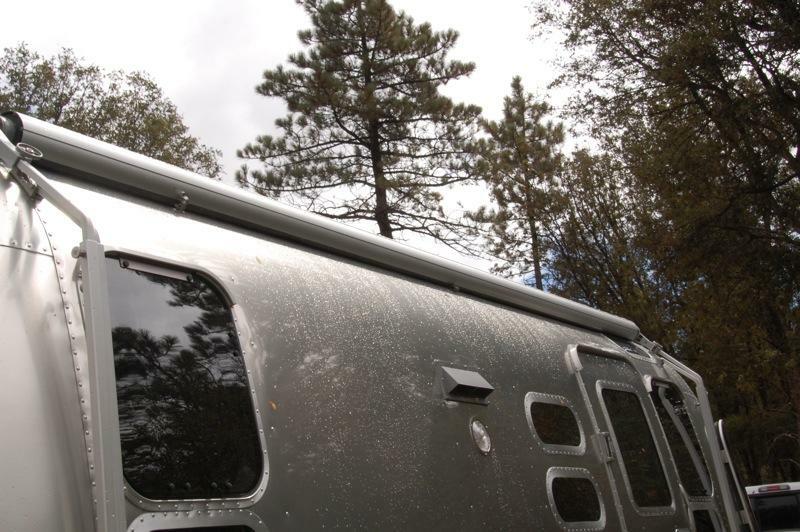 By morning, raindrops were glistening on the trailer, along with a few leaves, and many pine needle clusters were scattered over the truck. Actually it rained heavier along the coast, shattering the previous rain record for October 6, set in 1912. As the skies cleared, we noticed that there seemed to be more sky and less trees than the last time we were here. 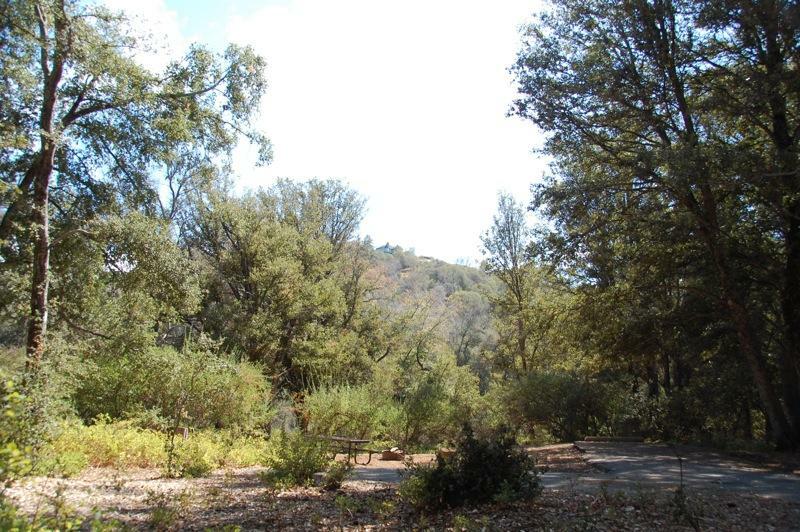 William Heise County Park, near Julian (apple pies), CA, is set in the Cuyamaca Mountains and mostly covered with acres of oak, pine, and cedar trees. More frequent rains this season have resulted in larger acorns, in the living trees. 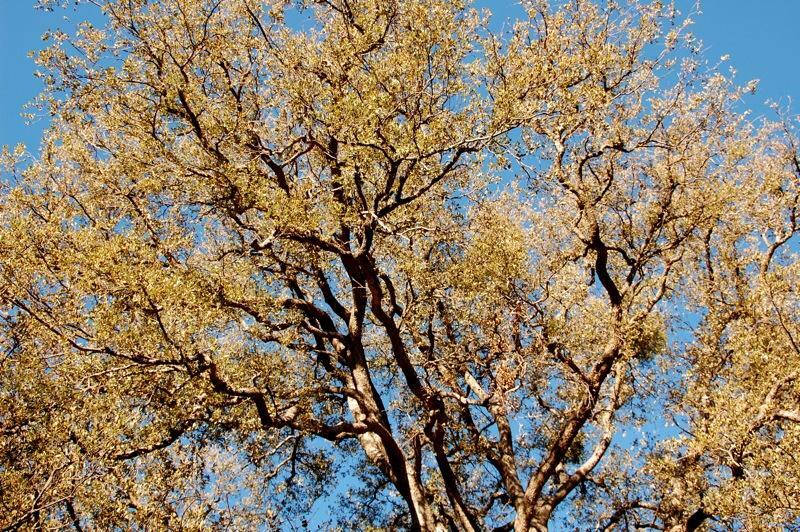 But we noticed that oak trees are dying. One of our favorite trees was this massive, native California Black Oak Tree up the hill from our campsite. Its canopy was thinning last year, as seen in this photo, but now it has been reduced to a sad stump. As I continued my midday walk, the camp host came by in his golf cart and I asked him about the cutting of the trees. “Yes, they’ve had to cut down about 25 trees this past summer because of some kind of beetle borer,” he said. 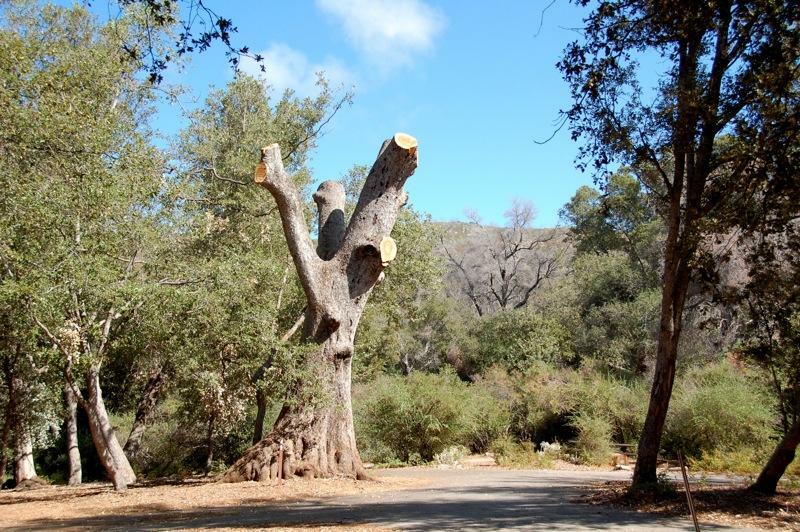 “Sad,” I say, “That’s decreasing the value and beauty of this park, and I’m now seeing houses on nearby hills that were once screened by the trees.” I continue on and noticed a sign posted on the campground restroom building: “DON’T MOVE FIREWOOD”. 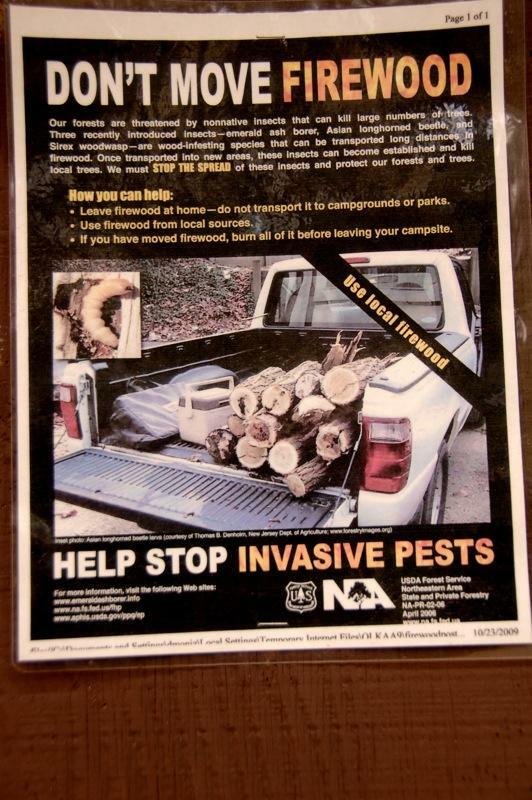 According to this San Diego Union-Tribune/signonsandiego.com article, “Voracious oak-killing beetle reaches suburban San Diego“, the gold-spotted oak borer was probably imported here by firewood transported from Mexico or Arizona in the 1990s and has killed more than 20,000 oaks, which adds fuel for wildfires, lowers property values, decreases the aesthetic value of parks and communities, negatively impacts the ecosystem (acorns are a source of food for wildlife such as deer, turkeys, and woodpeckers), presents a hazard to campsites (some sites had to be closed), and is costly to contain. This is part of a larger problem across the western United States and Canada. As Sting says, “How fragile we are“… including Earth and all of its treasures.